Forrás: Daily Mail. Szerző: Katy Winter. 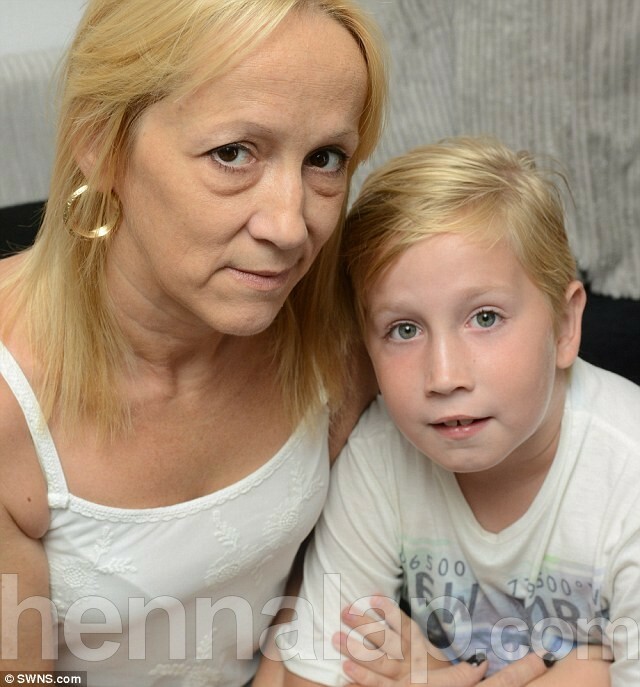 A couple fear their seven-year-old boy has been scarred for life by a huge henna tattoo on his back – of Star Wars character Darth Maul. 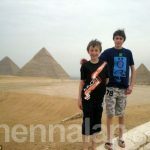 Liam Sayer was rewarded with the temporary image of his favourite Star Wars character for his good behaviour at the end of the family two-week holiday to Egypt. But a week after getting home – on his birthday – he woke in agony with his back covered in sores and blisters after a reaction to the black dye used to colour his skin. More than a month later he remains in constant pain as his entire back and lower body has broken out in skin rashes. And while the henna ink has faded the grimacing face of the evil Sith Jedi is clearly visible on his badly-damaged skin. Liam has been told to avoid the sunshine for the rest of summer and doctors have warned his worried mother Sharon he may be forced to stay inside for the next two years as his body battles the horrific condition. Tearful Liam said: ‘My mum and dad said I could get the tattoo on the last day of our holiday if I was a good boy, and I was a good boy every day. ‘Darth Maul from the Phantom Menace is my favourite Star Wars character. ‘I was so happy. But then on my birthday I woke up and it was all sore. Liam went on holiday with his mother Sharon, father Darren, both 45, and four-year-old sister Lacy for a two-week trip to the Titanic Beach Spa and Aquapark, in Hurghada, Egypt. On July 7, the last full day of their trip, Sharon paid for her, Liam and Lacy to all get temporary tattoos to mark the trip. But while one artist inked a design on her leg and a small flower on Lacy’s foot, a second used what was advertised as black henna to cover half of Liam’s back. Sharon, of Basildon, Essex, said: ‘Liam’s tattoo was so much thicker than mine and Lacy’s. ‘We were fine, we didn’t have any problems at all. ‘But the guy that was doing Liam’s was using a separate pot of ink and I reckon there must have been something in that. ‘I had a look at it and I couldn’t believe what I was seeing. ‘It was a huge red weal where the henna had been, and his skin around it was all rashy, red and sore. ‘I took him to the doctor, who said it was the worst skin reaction he had ever seen. Sharon added: ‘I’m so frustrated. It’s been an absolute nightmare. ‘I told the hotel what had happened, and the holiday company, but nobody has even emailed me back. ‘I just want to warn other people to steer clear of henna tattoos. ‘Liam is scarred for life now, and may be stuck inside for two years if he starts getting more of a reaction to sunlight. Since his diagnosis Liam has been proscribed two lots of antibiotics, two different steroid creams, and has been given a range of medicinal washes and lotions in a bid to try to calm his raging back, which is slowly showing signs of improvement.